Global uncertainty gives Israel-based tech entrepreneurs an edge, said Jerusalem Mayor Nir Barkat yesterday at the kick-off event of Calcalist's 2017 London Tech conference at London's Radio Rooftop Bar. Around 500 people attended the social event, part of a three-day invite only conference. 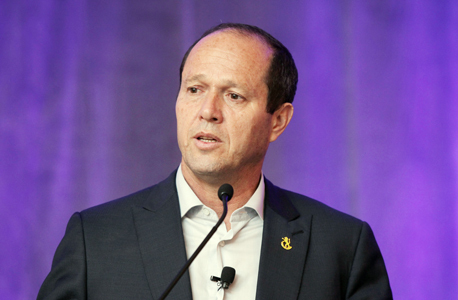 "There's no doubt in my mind that the uncertainty that we see in the world today is an advantage for Israelis: when things are in doubt we are like fish in water," said Mr. Barkat. 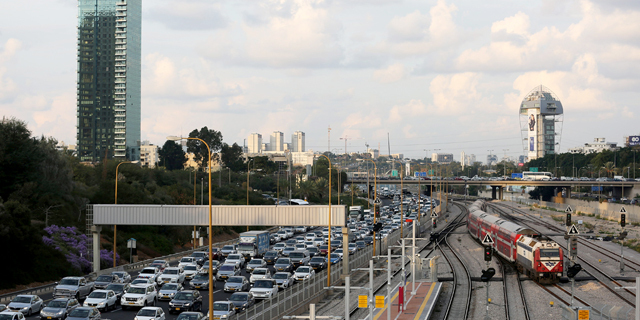 Combined with Israel's current strong economic positioning, uncertainty can help Israel's technology sector in fostering new partnerships. Mr. Barkat also presented a development initiative to build a new business district of 5.2 million square feet (1.6 million square meters), the size of London's Canary Wharf. "I'm a great believer in the British economy," said London-based Israeli-born business magnate Teddy Sagi. The founder of London-listed online gambling technology company Playtech PLC, Mr. Sagi solidified his ownership of London's Camden Market over the last three years. "The Brexit caused confusion and uncertainty among investors from all over the world, but here business is as usual. There are great opportunities in London," Mr. Sagi said, adding that he is speaking from a position of knowledge as he is heavily invested in the British economy. In a quickfire startup pitch, three startup founders attempted to get Mr. Sagi to commit to investing. Mr. Sagi met the entrepreneurs at a conference room at London's Melia hotel yesterday evening, as part of the Calcalist's 2017 London tech conference, an invite only three-day event. Mr. Sagi committed to two million-dollar investments in under 35 minutes. Mr. Sagi committed to a $1 million investments in test preparation company Worldwide Prep Ltd., which offers online courses, and personal shopping startup Shupperz Ltd. He also offered to connect emergency calls app company Reporty Homeland Security Ltd. with Camden Market businesses. Later in the evening, Mr. Sagi announced plans to set up 30 new shared office-spaces in London as part of his latest venture, "Labs." The latter already operates in four locations in London and is set to open its first out-of-London office space at a new high-rise currently under construction in the center of Tel Aviv. The company also has plans to set up shop in Romania. Israel's ambassador to the U.K., Mark Regev, said that the 28 Israel-based companies listed on the London Stock Exchange are a proof of the strong economic ties between the two countries. Last year's bilateral trade between the U.K. and Israel totaled over 5 billion GBP for the first time, he added.